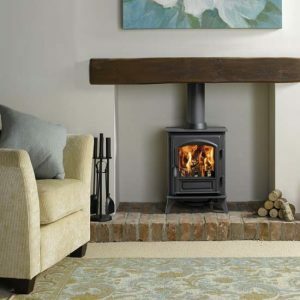 The Leeds Stove Centre covers most of Yorkshire and offers new and old customers alike the highest quality stoves in more wood burning stoves areas. If you’re thinking of getting a multi-fuel stove, consider what fuel you’re going to use. According to a survey conducted by the Stove Industry Alliance (SIA), 77% of multi-fuel stoves owners said they used their stove exclusively to burn wood. As most multi-fuel stoves do not burn wood as efficiently as dedicated wood burning stoves, those people would be better off with a log burner. Our high efficiency wood burning stoves range from contemporary to traditional designs. We pride ourselves on quality and that is displayed through our comprehensive range of stoves and products, as well as in our service, as testified by our reviews on Facebook and Google Plus. Our combination of top quality products and superb service ensures that we can provide you with an experience that will certainly meet all of your requirements. Our wood burning stoves manufacturers include Yeoman, Dik Guerts, Hunter, Dunsley, Gazco and more! Due to the increase in DEFRA approved stoves able to be used in Smoke Control Zones, this gives us more wood burning stove areas to supply and install to. Being one of the leading stove suppliers in West Yorkshire, we ensure that we offer the largest choice of stoves in many different designs, colours and accessories. We are convinced that you are certain to find your perfect stove at the Leeds Stove Centre.